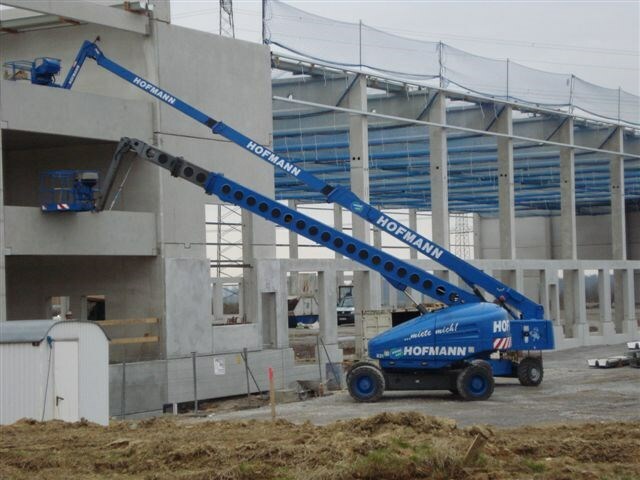 They are a bit like the mountaineers of lifting technology: boom lifts and aerial telehandlers, Highly sought after in all sectors because of their versatility and mobility. 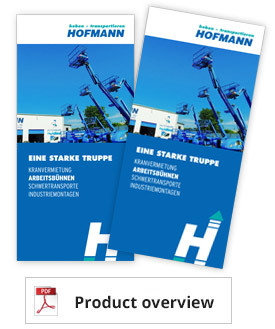 As specialists in this sector, Hofmann Kranvermietung GmbH represents the interests of the entire Franz Bracht Group. In each case, the customer will receive expert advice in the selecting the right type of device with regards to suitability and efficiency. The in-house transport service guarantees timely delivery and collection on-site. A detailed briefing by specially trained personnel is, of course, part of the service and takes place during every device handover. You can transport trailer-mounted boom lifts to your towing vehicle yourself. Of course, we can look after the transportation for you too. Get in touch with us! 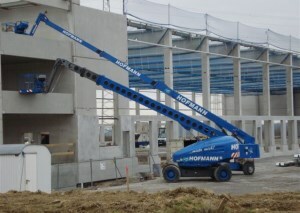 The proportional control provides you with delicate control of the boom lift from the work basket. The rotary working cage puts you in the ideal working position in relation to an object. With a diesel unit, your work assignments are not tied to a specific power source. With additional supply of 230V via a power transformer, some types even allow you to work non-stop. Through basket load-dependent control, it is possible to achieve more coverage with less basket load. An all-wheel steering and drive system make these devices highly manoeuvrable and flexible. The joints allow access to narrow places. Reaching over obstacles becomes a simple matter. We can solve your height access problem. Whether it’s in tight corridors of space or on uneven ground, we have the right equipment. Via the rotatable basket, work can be done in parallel to the object. The jib makes it easy to bypass obstacles. In the electrical substation, insulators are mounted in hard-to-reach working positions using our telescopic boom lifts. This is possible due to proportional control, movability from the basket and greater lateral reach. boom lifts are ideal auxiliary devices For modernisation and renovation of historic monuments too. 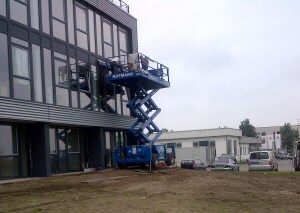 The advantages of scissor lifts are even greater with levelling supports. They make it possible to work safely and smoothly, even on uneven terrain. 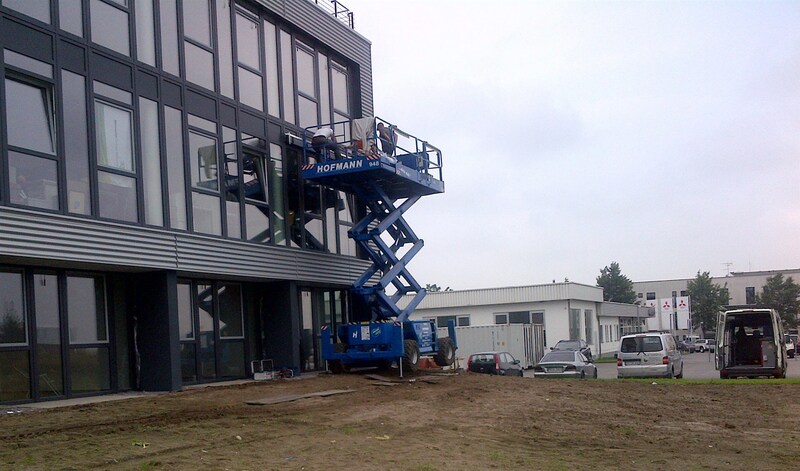 So that it is possible to work in the optimal position in relation to the object, most boom lifts are equipped with a rotary working cage. This allows you to work quickly and economically. The working cage-change system allows the boom lifts to be converted for special applications. This means, of course, that a work cage for tree-pruning work has different requirements to those for mounting signs or other tasks which take place at a height. 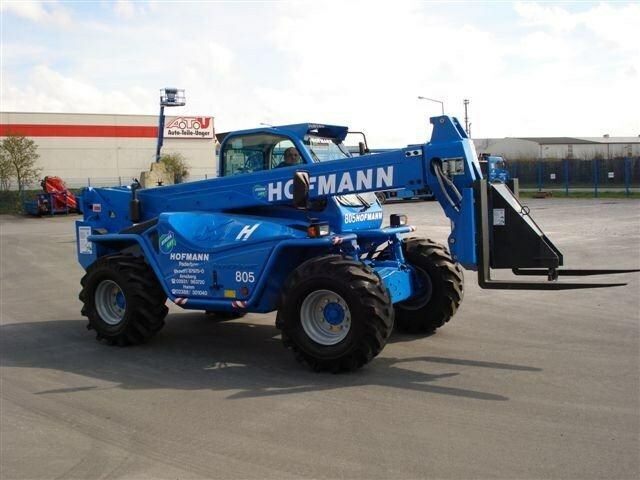 Telehandlers and forklift trucks and are available in different performance classes with various accessories such as buckets, forks or crane jibs. Upon customer request, our devices can also be equipped with diesel soot particle filter systems. For use on industrial floors, non-marking tires are available.